This project presents results of wireless intelligent building automation focusing on both the rational use of energy and maintaining security. The wireless approach, in this work, could better target retro-fitting of buildings, still in operation. The Zigbee based security and energy saving system will have the following features. The energy consumption is significantly maintained in the concept, for example when there is no human presence in the room then the light will be switched OFF. When any one enters the room then the light will be switched ON automatically. (One PIR sensor and two Wire loop sensors are used to detect human entry inside the room; relays for connecting loads. 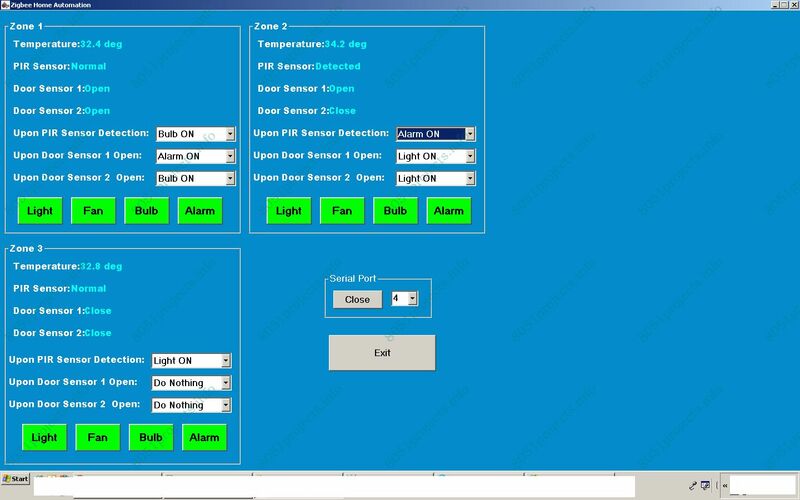 Manual/automatic control for switching of the loads) and the PC at receiver module (to display and control the status of the room). As a part security system involved in this project PIR sensor and Wire Loop sensor (used to detect if any one try to open a lock). 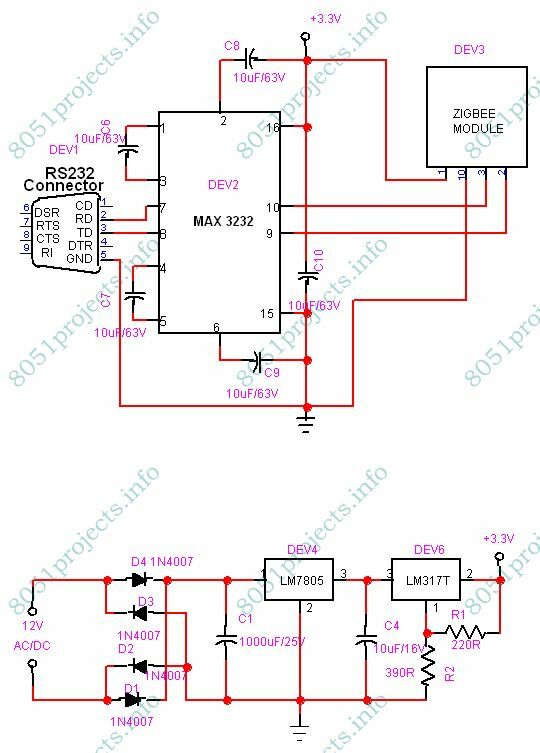 Microcontroller will continuously monitor all the Sensors and if it finds any security problem the Microcontroller will switch on the Alarm until the Reset button is pressed. 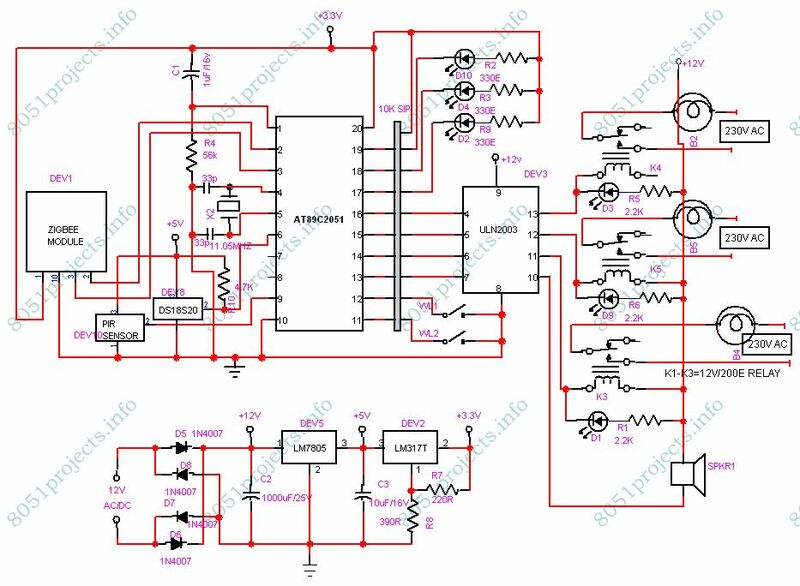 In this project, we propose a standby power control mechanism in networked home. Proposed mechanism uses the IEEE 802.15.4 based Zigbee communication protocol between Host and Agents for sensing information and standby power control command transmission. An zigbee network is formed, in which 1 module is configured as Coordinator and the other 3 modules are configured as END DEVICE. abenezer setey, bari anand, anandtip and 2 others like this.